Scared to forget essential things for your opening? Don’t know about priority? Here you can find all aspects of how to start a hair salon step by step. Follow the most important phase and take the best appropriate decisions. Firstly: Define the type and legal structure of business _The type: opening a new hair salon, an established hair salon or a hair salon franchise. Think about the services and specificities you wish to offer. _The legal structure: a sole proprietor, corporation or partnership _Obtain all necessary licenses and permits (you must check whether you need to register your hairdressing business and if you require the level or experience needed). Get the necessary insurance. Secondly: Choose a name for your hair salon. It has to be easy spelling and should give a little insight of you business. This is the identity of your salon, be creative! Thirdly: Choose a location for your business. The location is very important, it will define the type of clientele of your business according the area. Also the visibility and accessibility of your shop can make the difference for attracting new customers. Make sure that you have enough space to fit all the furniture that you may need. Fourthly: Make a business plan. Find out how much you need approximately. For your business plan you have to consider the first months fee and charges in considering that you might not earn money (electricity, gas, water, wages, telephone). Calculate all the expense for the shop (Deposit, Rent, Leasehold...). Make the inventory of all the furniture and tolls you need (washing machine, towels, hair dryer, computer…). Determine the cost of advertise, hair product and retail. Defined your total budget and think in how much you can invest. Fifthly: Obtain the financing you will require. With your business plan done you can either go to a bank or try to get a government-backed loan from the Small Business Administration. Ask around you if any of your clothes want to invest in your business. Sixthly: Register your business name with the Secretary of State of your state. Get a tax identification number. Seventhly: Select the interior and exterior design of your hair salon. Select your equipment and furniture according with the decoration you wish to have. Many company offer a combination of chairs, mirror, desk-reception, and sink… The window should be beautiful and in harmony with the salon. It will attract your customer. Eighthly: Choose your brand and suppliers. You are the artist and you can practice your craft with the brand that you love and that you trust. 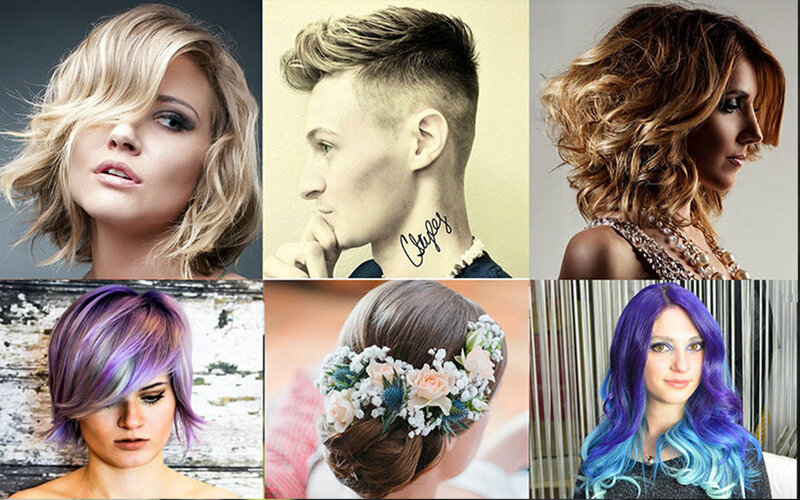 Create a stock of products you will use for your technique (colour, bleach, shampoo, treatment…) Select the products and range that you customers will buy. Negotiate the best payment terms. Create a store displays to sell your products. Ninthly: Find great hair salon staff. You can either hiring hairstylist or renting chair, the choice is all yours. Make a try if you are nor sure of your position. The most important is to have reliable and professional staff. Tenthly: Define little more things. The opening hours, the prices of all services, the way to keep track of your inventory, the marketing strategy… Create your concept to attract the type of customers you target and make sure that customers will feel great in your place. Keep a cool head and take thoughtful decisions, every thing will take shape easily! Good luck in your adventure and we wish you a successful business.